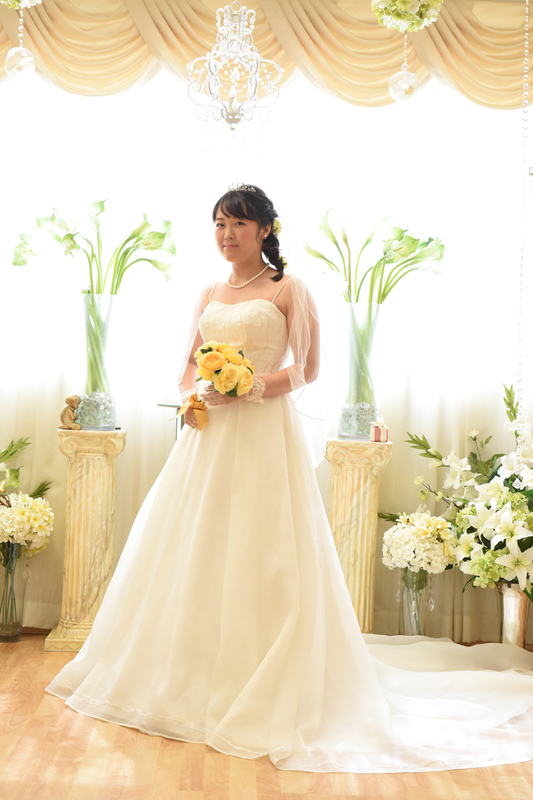 Lovely shot of Japanese Bride Tomomi at Plumeria Wedding Chapel. 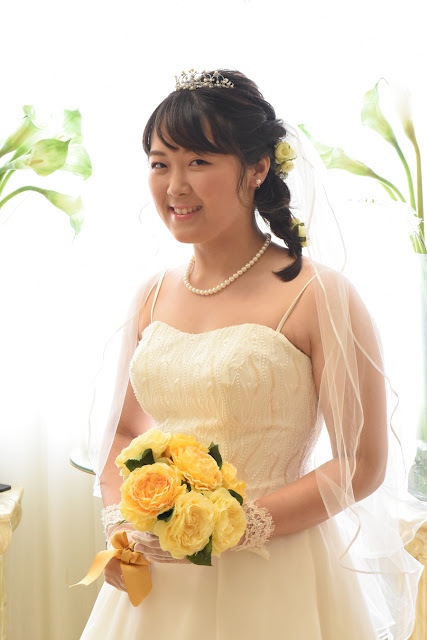 White pearl necklace is a beautiful bridal adornment. 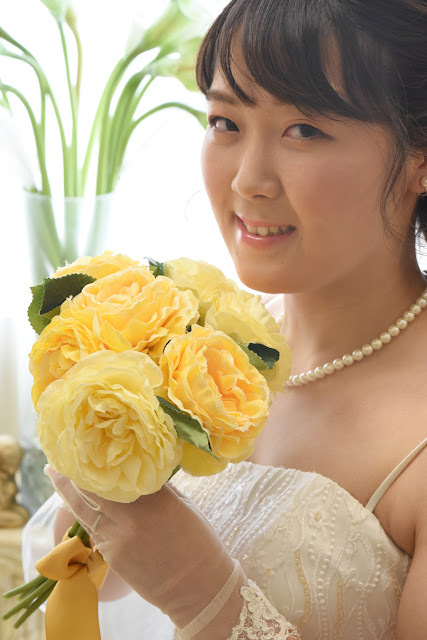 Yellow flowers match the Bride's gentle personality. White, beige and soft pink would go well too.